The pilot of "Red Baron". He basically enters the Metal Fight to be its champion. He sometimes butts heads with Shouko and Robby. He has a secret crush on Shouko. 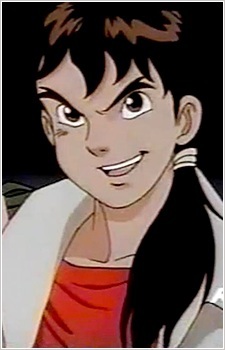 When the 2 first met, Ken thought Shôko was a boy, to which she revealed her face to him and kicked him between the legs in episode one of the series. He tends to act silly most of the time, but when the situation calls for it, he can act in a serious and logic manner.